An explosion at a Phnom Penh garment factory that killed one worker and injured seven others last week was caused by an operator who stoked a wood-fired generator because he wanted extra time for lunch, an official said on Monday. “This accident happened because of carelessness. It wasn’t caused by a broken generator or technical error,” said Oum Sotha, a spokesman for the Industry and Handicrafts Ministry, which issues factory safety permits. The worker responsible for the generator, Ou Vun, 26, was detained by Sen Sok district police on Wednesday and released without being charged following questioning by the Phnom Penh Municipal Court on Saturday, deputy district police chief Kouk Sokhou said on Monday. 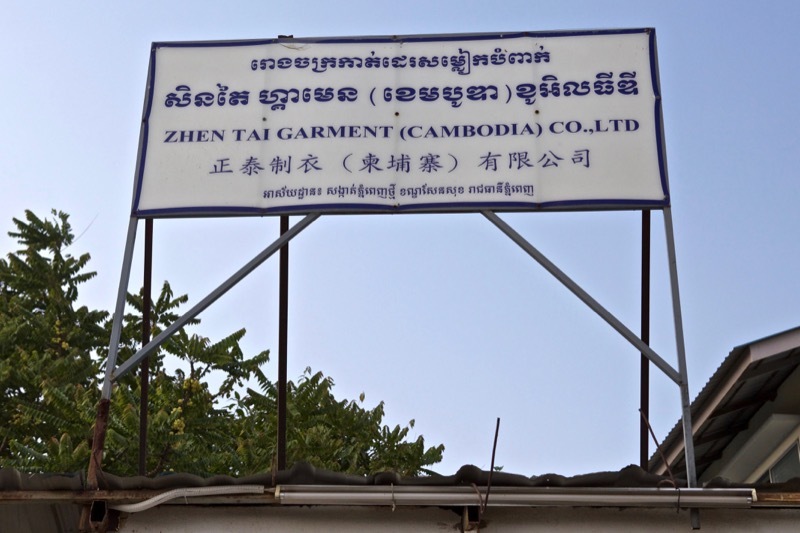 While confirming that the safety permit for the generator at the Chinese-owned Zhen Tai factory, which makes jeans for U.S. brand Levi’s, had expired earlier this year, Mr. Sotha said the operator was to blame for the accident as he added extra wood to the generator while he was away. “He wanted extra time for his lunch break,” he said. A lapsed safety permit did not mean the generator would stop functioning or function improperly, Mr. Sotha said. “It wouldn’t be broken immediately after [the permit] expired, but it would still be able to be used for a while,” Mr. Sotha said. The ministry had last inspected the generator early last year, said Esther Germans, program director for Better Factories Cambodia, which monitors labor conditions inside the factory. The ministry “issued a certificate stating that, after an inspection, the boiler is suitable for operation,” she said in an email. “This certificate was issued in February 2016” and was good for 12 months. The sister-in-law of Kul Samorn, the 45-year-old worker killed in the blast, said on Sunday that her family had agreed to accept $12,000 compensation from the factory’s owners. Authorities were investigating to determine whether the explosion was the result of the factory failing “to properly train or recruit the staff to manage that machine,” said Labor Ministry spokesman Heng Sour. Moeun Tola, executive director of labor rights organization Central, said both the factory and the government should accept responsibility.